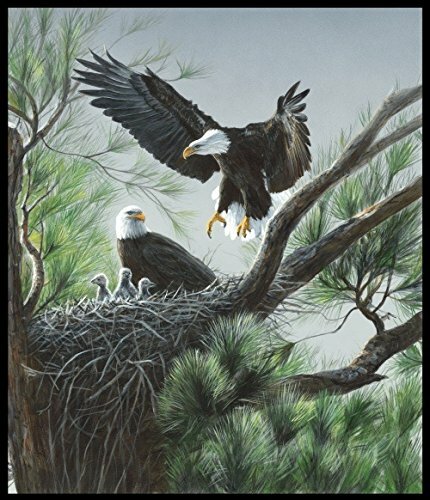 One of a Kind "Eagles Nest". Panel measures 36" x 44" and is 100% Cotton. Windham's "sophisticated fine art technique behind One of a Kind's remarkable wildlife scenes delves into their digital-printing process that delivers amazing colors, textures and details. MEASURES - 36" x 44"